Jaangle (formerly Teen Spirit) is an open source, free, music player and organizer software. It categorizes your mp3, ogg, wma, avi etc collection and displays it in easy to browse, user interface. 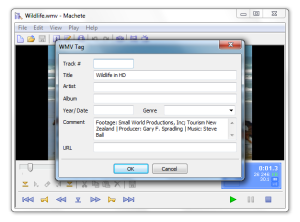 It has a quality audio – video player and also an integrated tag editor. You start by adding a folder which contains your music files (mp3, wma, avi, mpg etc). Jaangle scans and reads the available tag info. The artists appear in the tree like control. Each time you click on an artist all his tracks can be seen in the list pane, artist biography and image are automatically downloaded from the internet and displayed in the information pane. By double clicking a track in the list you hear the music playing. More info may appear (if available) in the info pane like lyrics or comments.